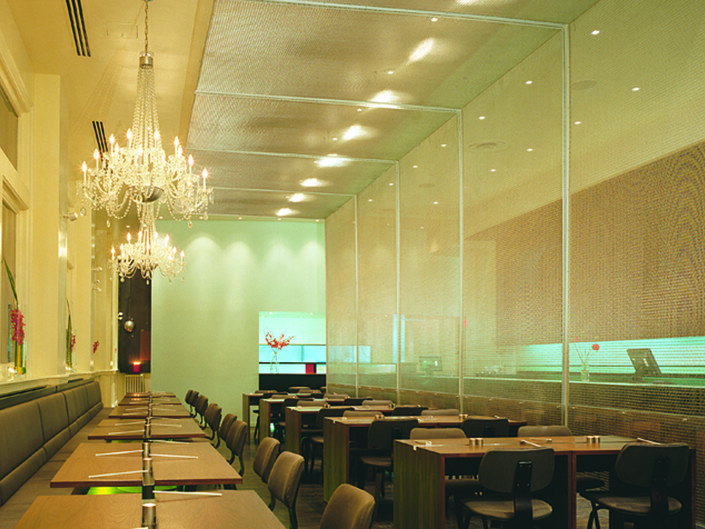 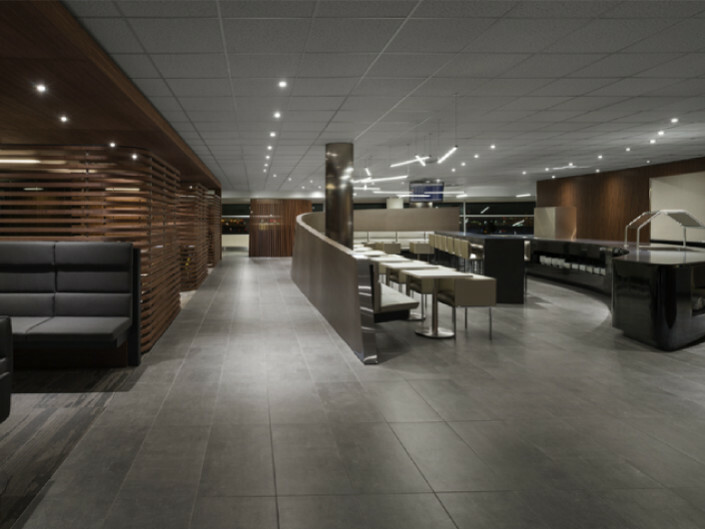 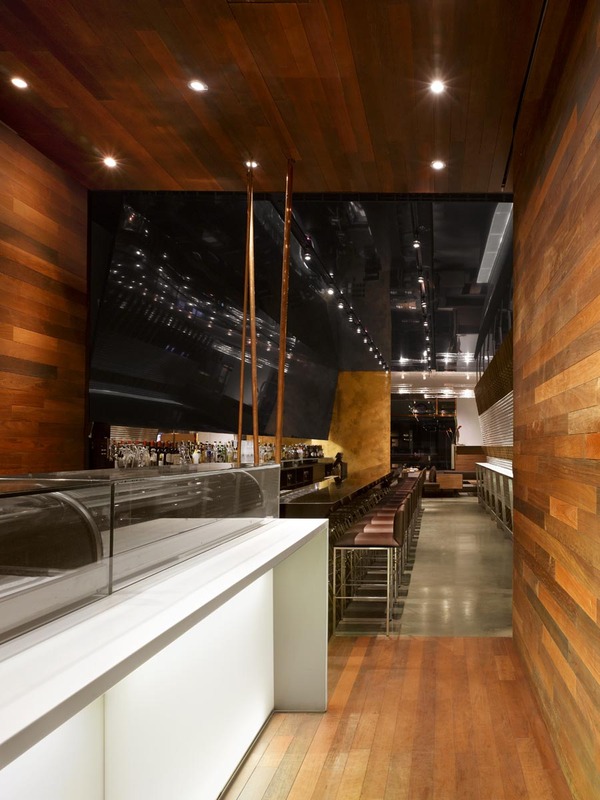 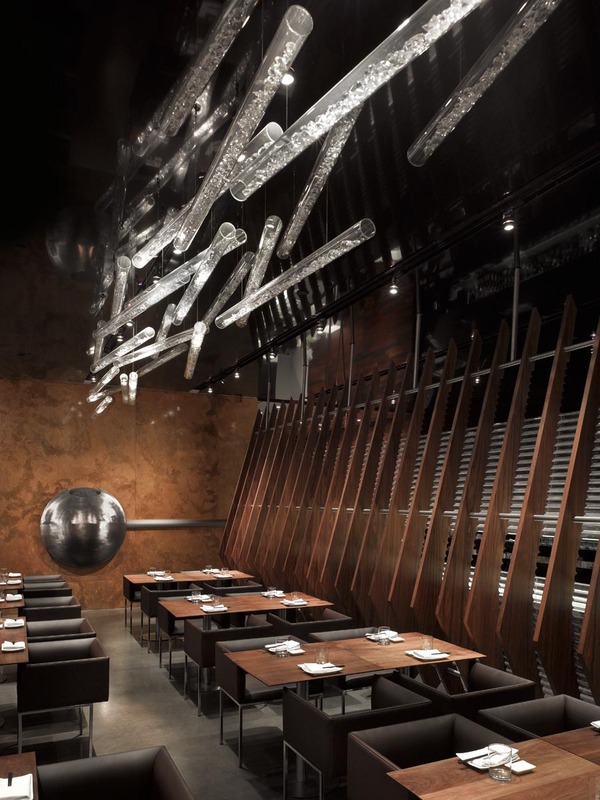 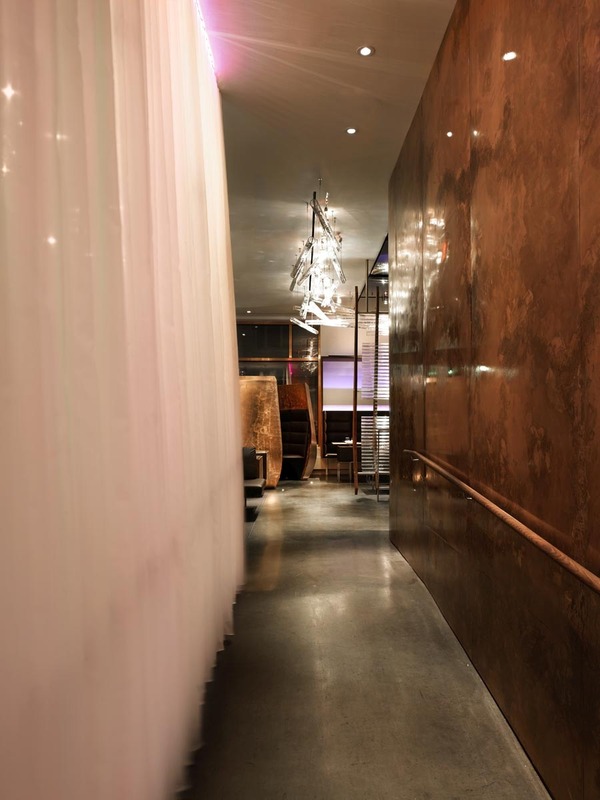 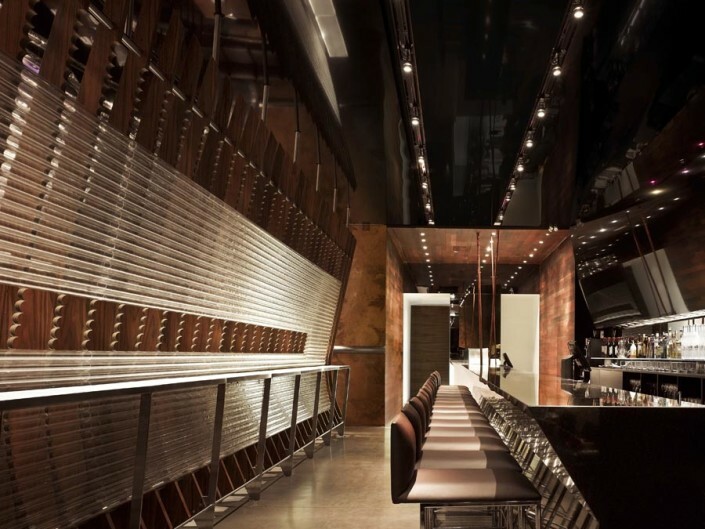 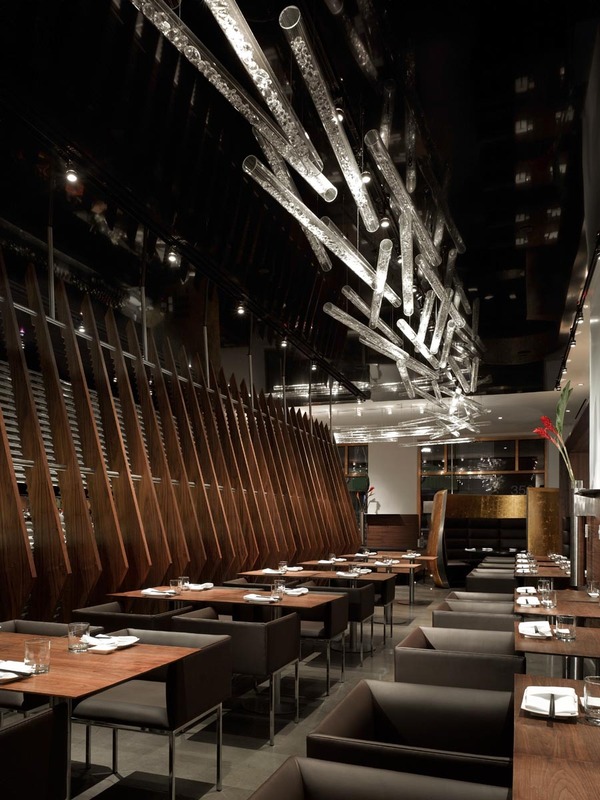 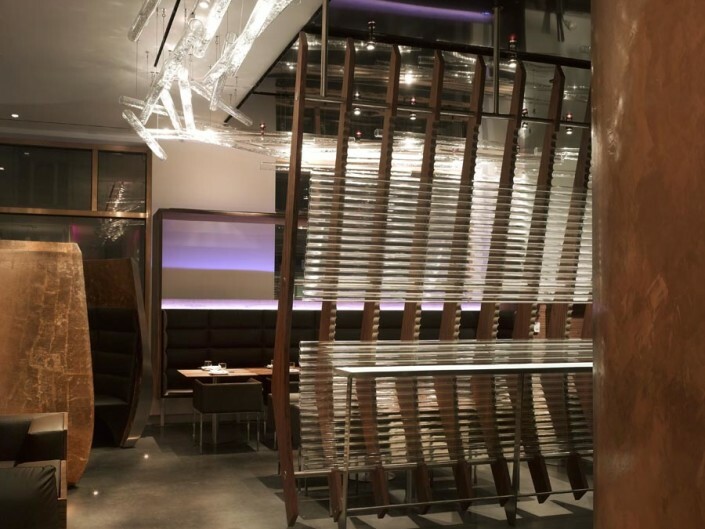 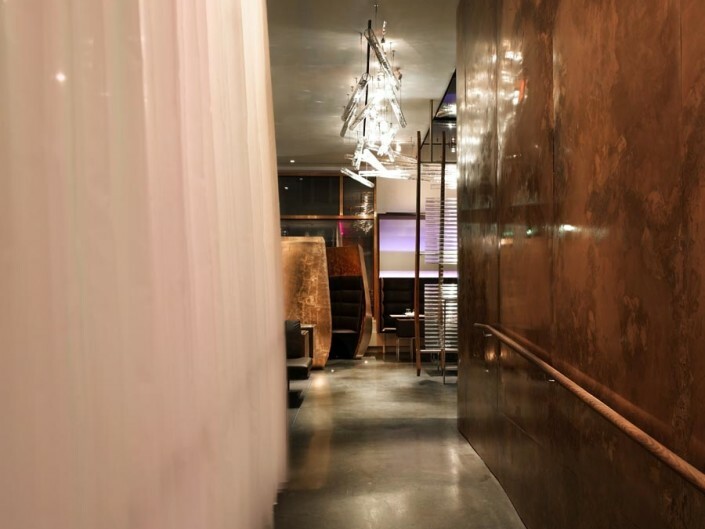 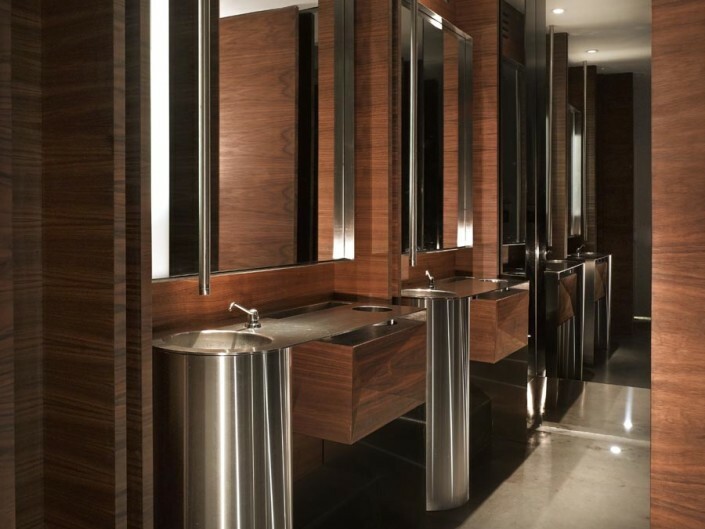 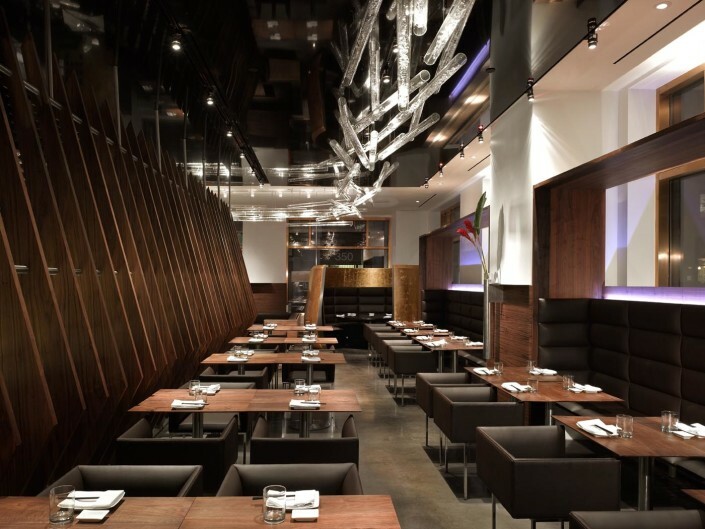 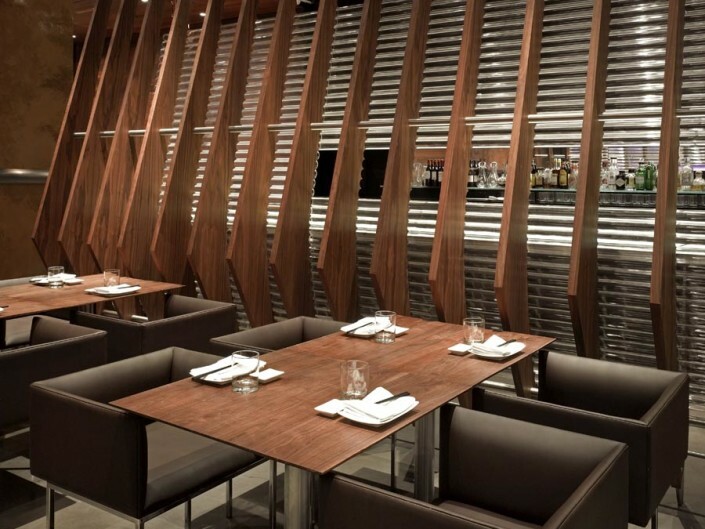 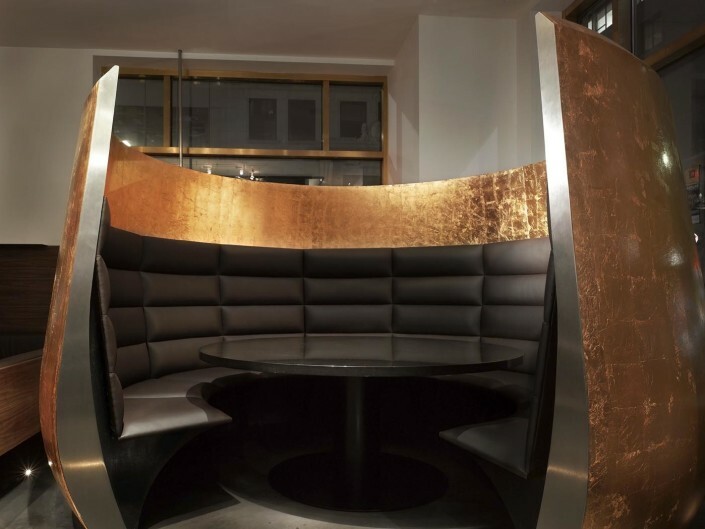 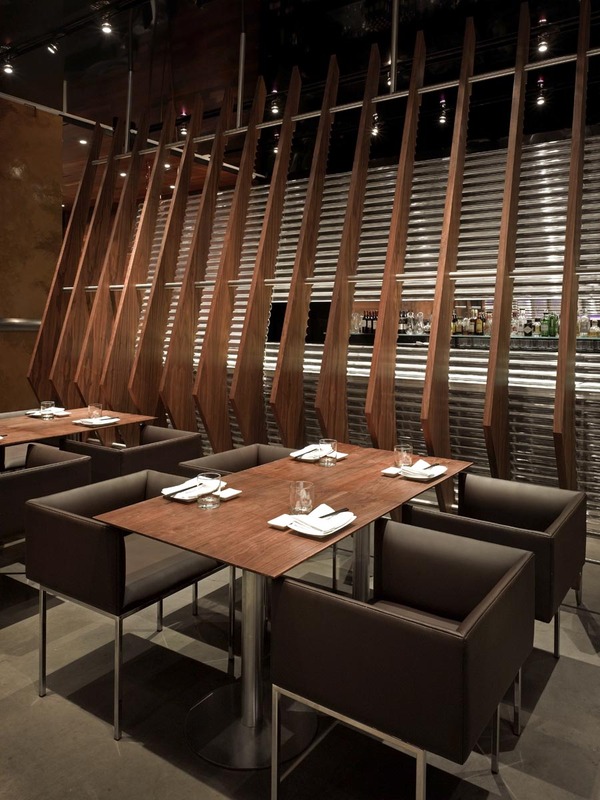 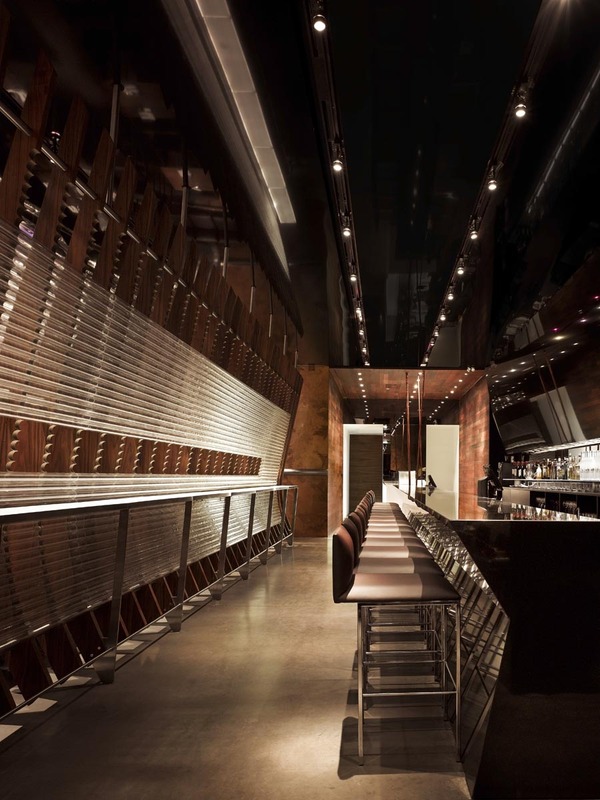 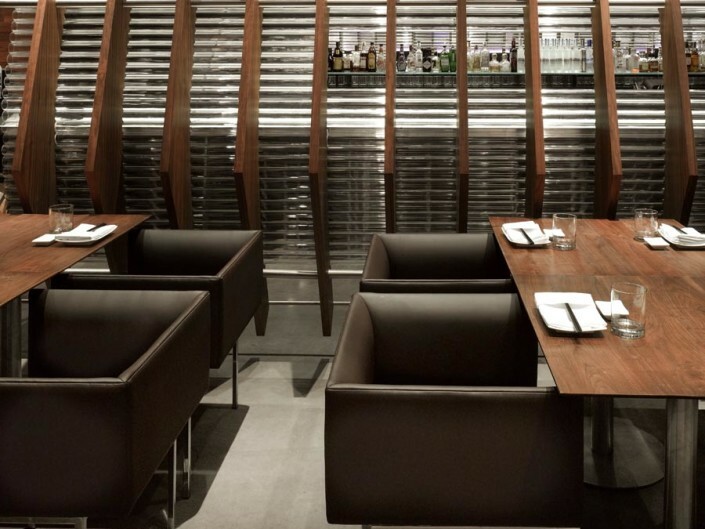 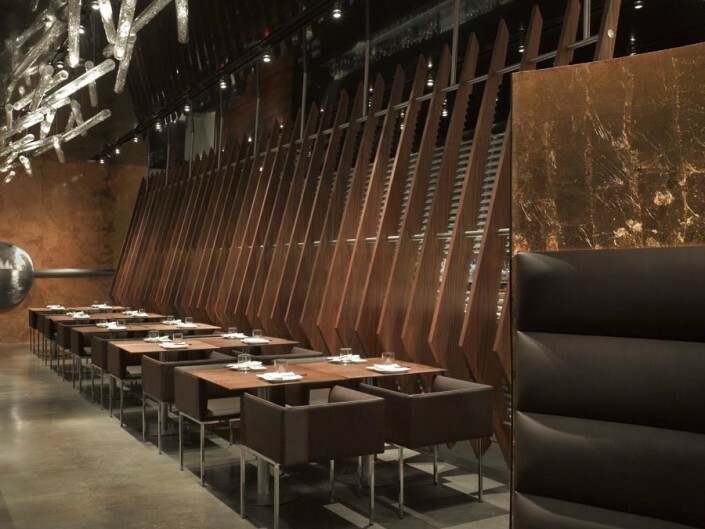 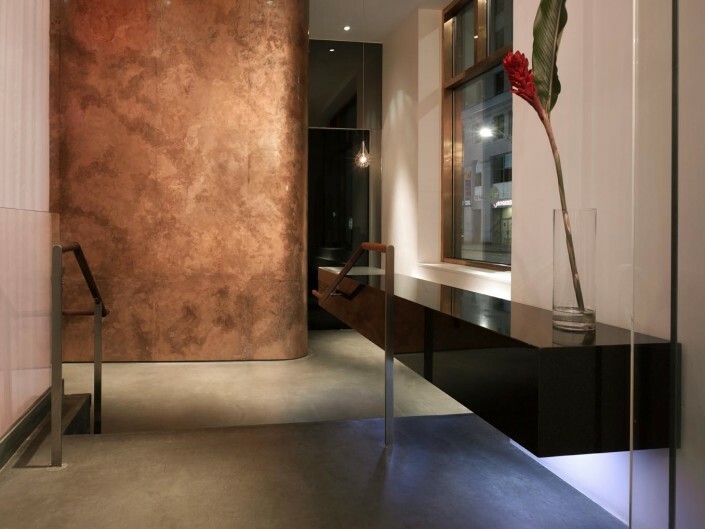 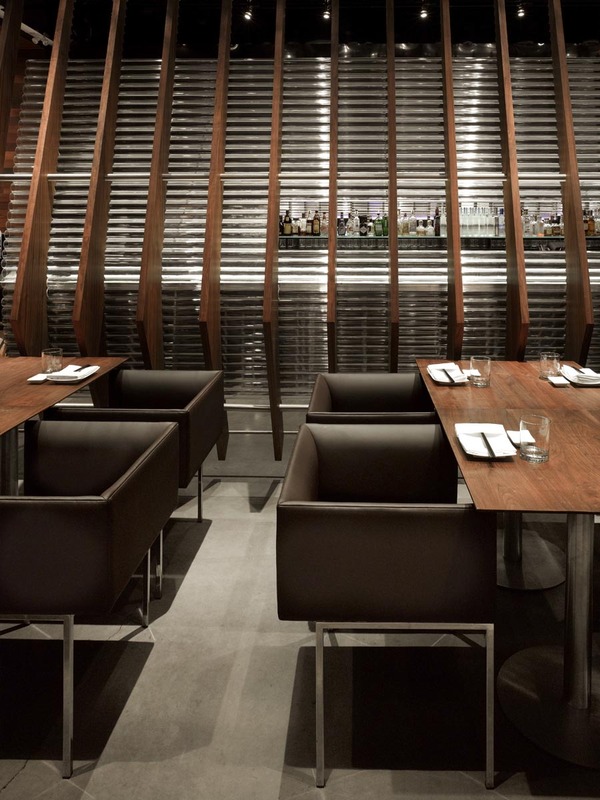 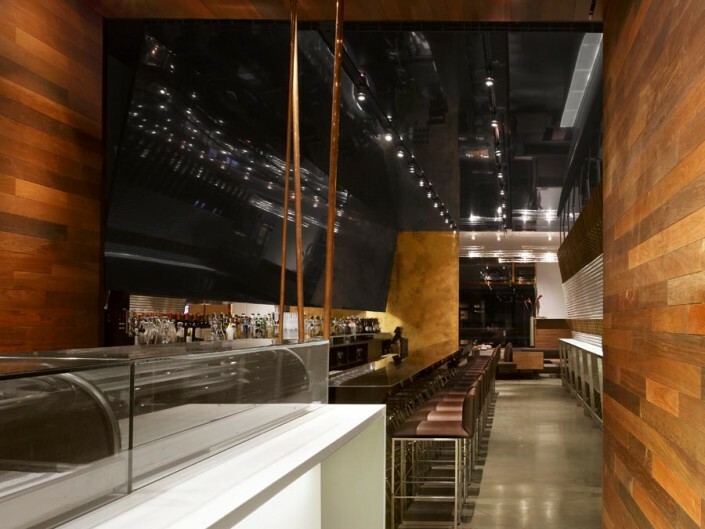 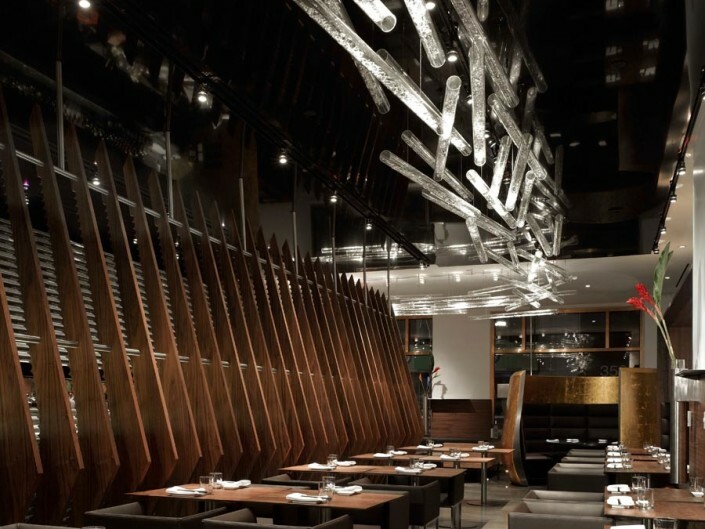 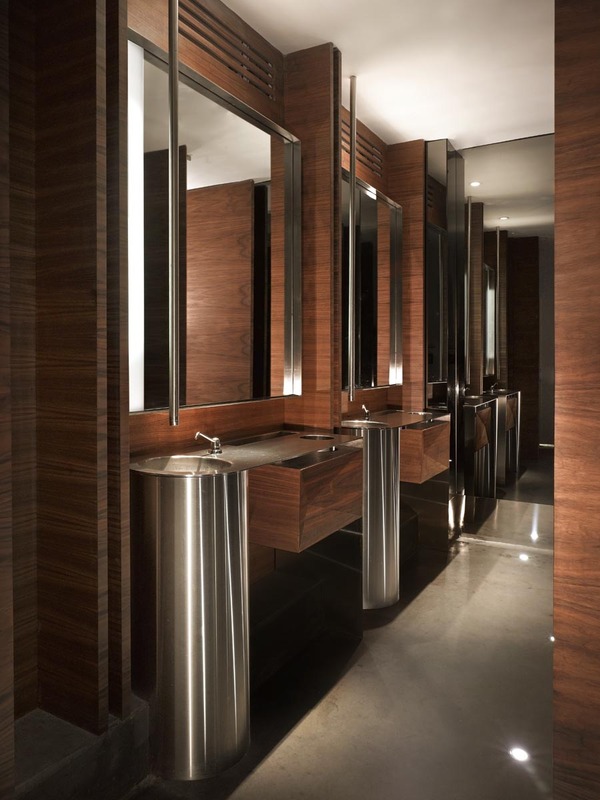 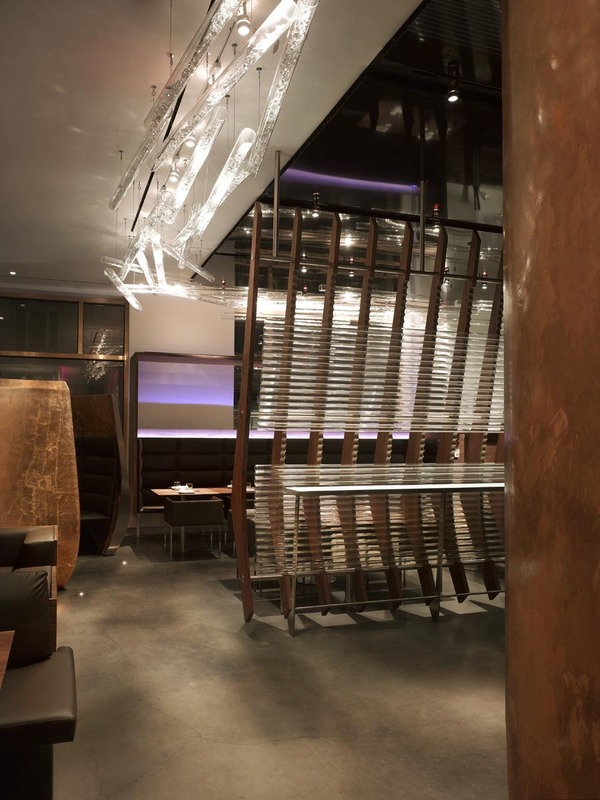 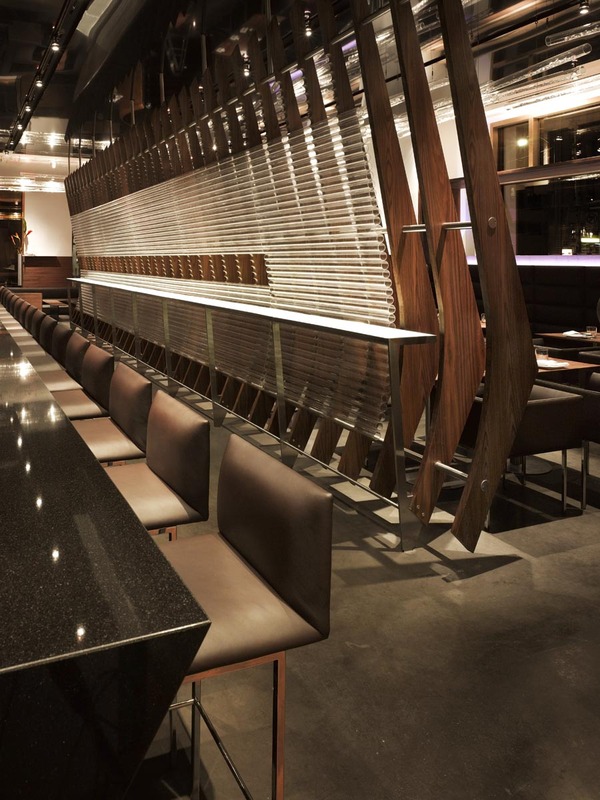 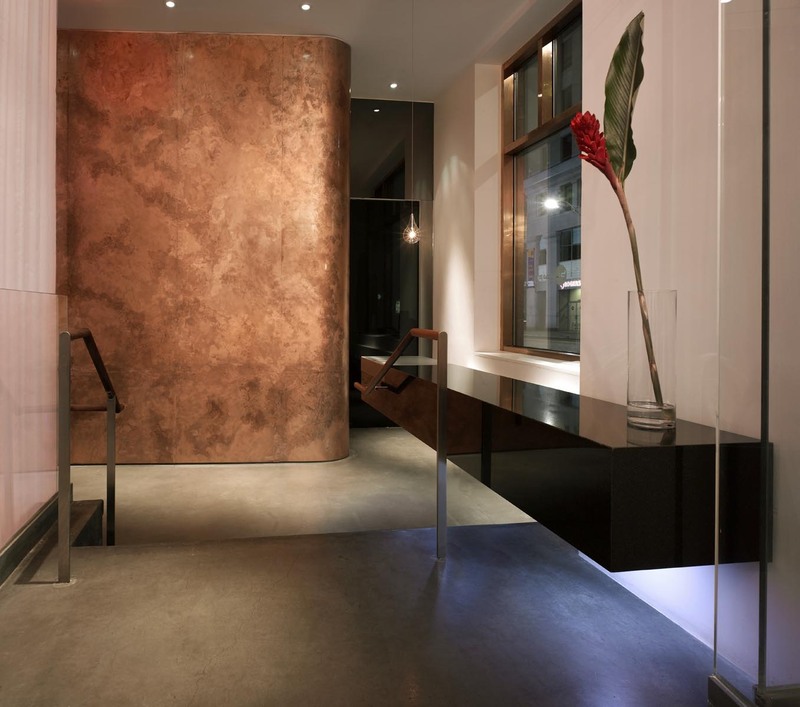 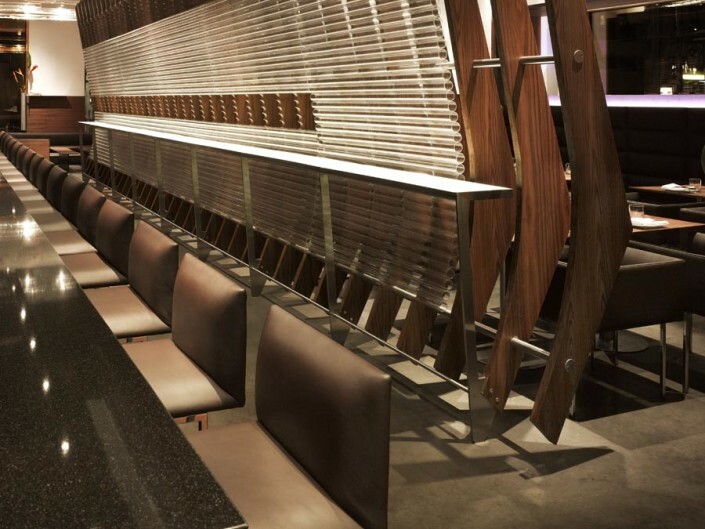 Located behind the historic faade at the foot of the Bay/Adelaide centre, this project is the second Blowfish Restaurant and Sake Bar this firm has designed, the first now an anchor in the incipient King West entertainment district. 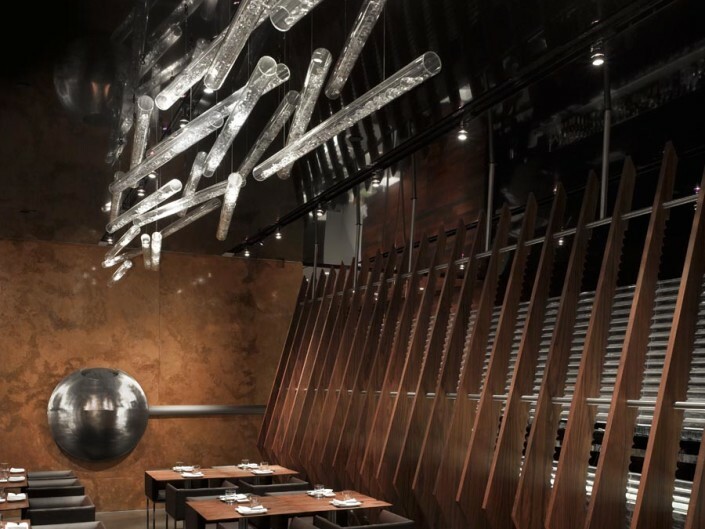 The new 3700 SF space was conceived as an evolution from the ideas of the first, a space intended to allude to it’s asian-fusion cuisine, re-interpreted architecturally in it’s forms and details as a collage of western and asian references. 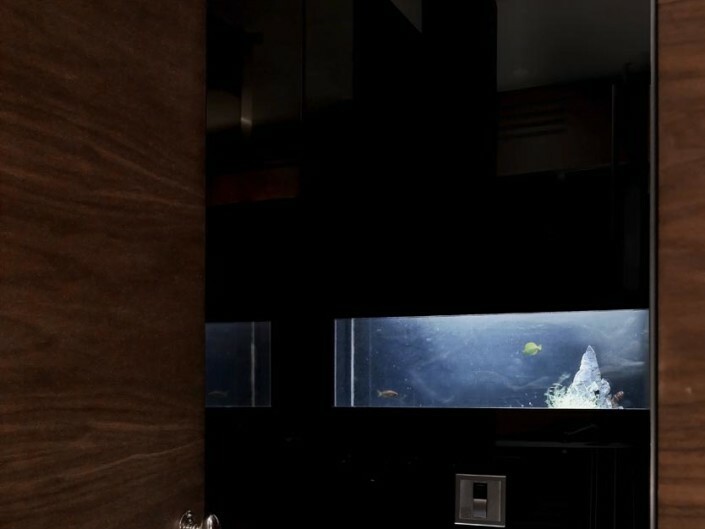 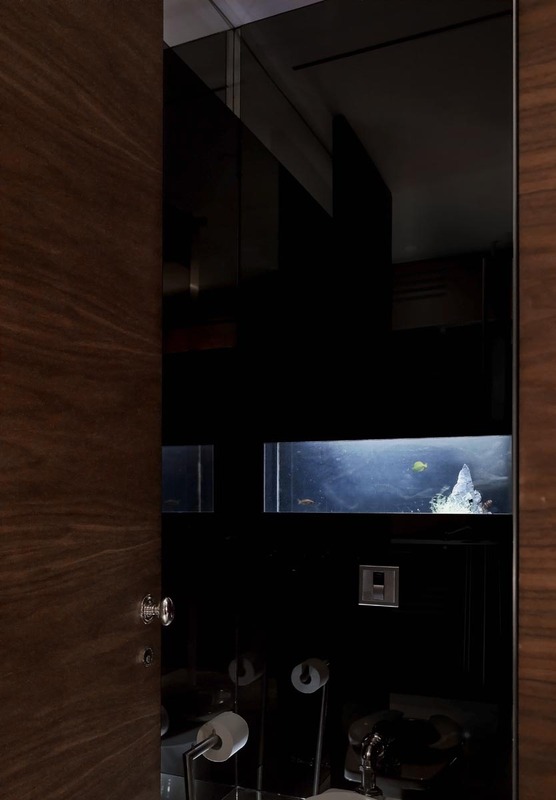 The new Blowfish takes these ideas, manifested for example, in the chandelier and screen elements, and develops the conceptual point of departure further. 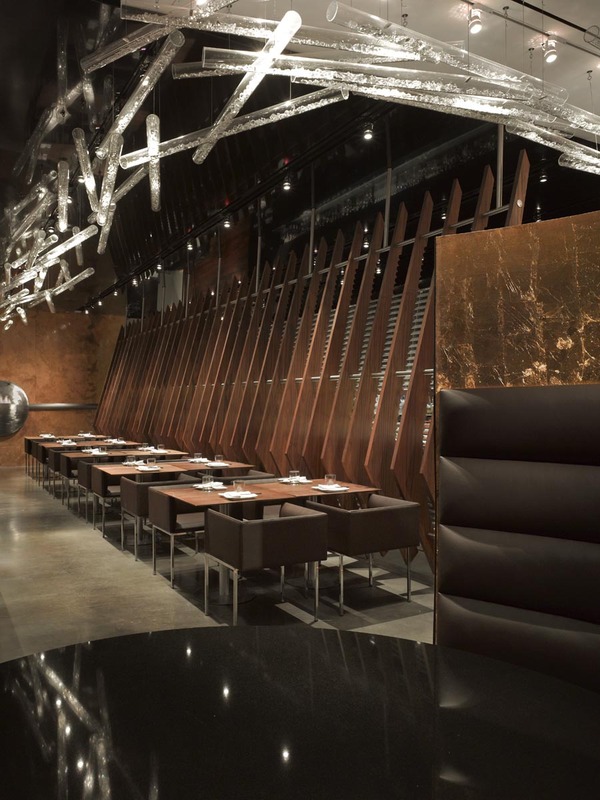 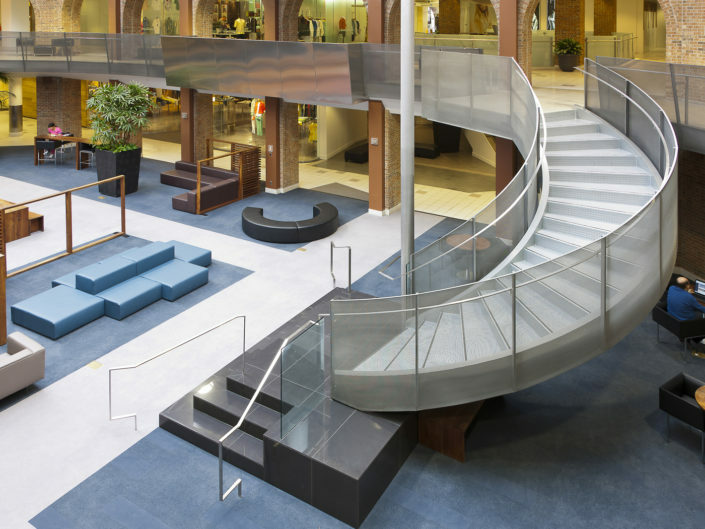 The design is akin to a “stream of conscious”, malange of forms, details, textures and surfaces evocative of objects related to, or found under water, with vessel/rib-like forms and the use of reflective or “wet” surfaces.